Update: Congrats to Joyce #58! Need a little spring right now? another set of hands, or more eggnog? Christmas Eve with my dad. of all the adventures you're having. These dainty illustrations are simply darling in springy soft shades of fresh picked lilac, honeysuckle and primrose." layer cakes and jelly rolls in the shop. We also have Nancy Drew. Happy Ever, Kona aqua and red are back in. And the cutest mermaid fabric (ever). We will pick back up with our giveaways in January. I love aneela hoey. I'm defently going to have to get me some posy. Ohhhh I am definitely getting some of that posy... sooo adorable!!! I just got some Nancy Drew fabric in the mail this week! OOOhhh I just love anything by Aneela Hoey - she's so clever. Lovely giveaway, thank you. I love the fabric Aneela designs - it always reminds me of my neice :) Great giveaway, as always!!!! Aren't these just so sweet - all so precious, but love the little bunnies! Oh, I love Posy, been looking forward to seeing it! It's so very sweet! Now, can you pass the eggnog please? Have a happy! I'm so ready for spring because I hate the cold winter weather! Adorable fabric. I have loved all of Aneela's ranges. Ohhhh, I've got to get some Nancy Drew soon for my project. Fantastic giveaway, I have my fingers crossed! It is such a long time since I fell in love with a fabric. Posy is it! I'm in love. Oh lovely. It would be so cute to use to make something for my 4-month old niece. Thanks for a great giveaway. Merry Christmas to both you gals and your families! What fun fabrics....hope you have a wonderful time with your children next week...Merry Christmas!! ooooooooooooooo, look at the bunnies!!!!!!!!!! cute cute cute (do you gwet the feeling i like bunnies?) fingers totally crossed! What a delightful fabric line, count me in! I've finally just cut into my sherbet pips - love Aneela's work! What a cute charm pack...lovely fabric! Thanks for the chance. Oh Corrie, what a great giveaway! Thanks for the chance to win and making al lovely project with it! Thanks for the giveaway and Joyeux Noel from France! Another fabulous line from Aneela! ooooh, I hadn't seen the rabbit print!! I need that print, a whole bolt of it! I love Aneela's fabrics as everything she does is so pretty. Thank you for sharing such a lovely giveaway. Happy Christmas. I love those little bunnies! Thanks so much for this giveaway! Hello to every body, it's my first pay a quick visit of this web site; this webpage includes awesome and actually fine material in support of readers. Aneela Hoey has come up with another absolutely charming fabric collection. Thanks for the chance to win. Very cute - count me in! I love those bunnies but I think I will have to hide them from my daughter and my aunt who are both really into pink and bunnies. What a busy week you have coming up, I hope you find time to rest, relax and breathe. Great prints, great giveaway. Merry Christmas! Beautiful fabric! I would love to make something for my granddaughters with this! Thanks for the chance. Merry Christmas Corrie to you and your family! I would love a hint of spring! Thanks for your awesome giveaways! Wishing you an awesome and fun Holidays.Merry Christmas to you and your family!! How wonderful! I love it. We have one more day of school (today!) and then we're all home until Christmas. Hooray! So so sweet! Thanks for the chance to win! I'm loving that mermaid fabric, too. That's the first time I've seen it so now I must check it out in more detail. I haven't seen this line before. Cute! Happy Holidays! that is such sweet fabric and would make great dall quilts for a special little one. What an adorable line! Thanks for giving us a chance to preview it. Posy is so sweet! Have a happy holiday, Corrie! My friend loved her fabric and thread...thanks! Just adorable! I love Aneela Hooey and just got my hands on her embroidery book from the library! That fabric is so sweet! I thought the little people were cute, but the bunnies and writing fabric make that line just perfect. Very sweet! Have a great holiday Corrie! Love any of her designs...2 of the quilts I made for Christmas use her fabric! 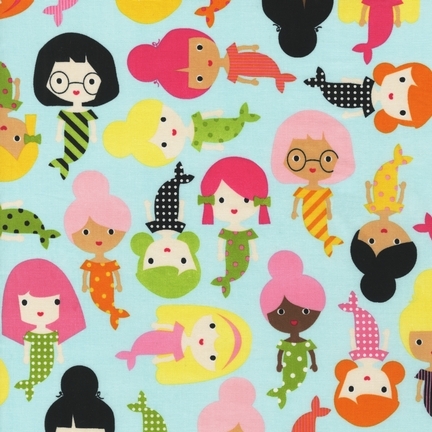 What adorable new fabrics! Thanks for the chance to win! How cute is that? Thanks for the chance! OOOOOOOOOOhhhhh cute!! I love it!!! I love Aneela Hoey! Her new fabrics are so cute! Aww, this is so sweet! I'm not ready for spring but I will be soon! I love this fabric! I live in Iowa and was just hit by yhe big blizzard so I can sure see the need for spring already! That is such fun fabric and a fun print, would be wonderful for a charity quilt. 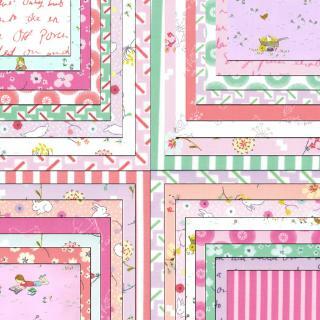 I have several friends due to have spring babies this year - this fabric would make such a sweet baby quilt! I so love that fabric! eep, all are such lovely fabrics! Posy is the best Aneela Hoey fabric line yet! That posy is so cute. It would make a great baby quilt. That is so cute. Love the drawings...precious! Thanks! Oooooh...little vintage look happening there. What a sweet quilt that would make for a new baby girl I know. thanks for the chance, what sweet fabric! That is the cutest fabric I've seen in a long time. Just makes me smile. Thanks for the chance. This fabric looks so sweet!! The wind is whipping around the snow outside here like crazy right now, so that breath of spring looks very, very inviting! Enjoy your family time and have a wonderful Christmas. Oh, this might be my new fave Aneela design. Love! A very merry Christmas to you and yours! Thank you for the chance to put some spring in my step! This line is so charming! There is hope for spring!!! I love those sweet prints. A pocketful of Posies :) oh please! I love writing on fabric. I don't even care what it says. Aneela always has great fabrics and this is no exception. Thanks for the giveaway! I love Aneela Hoey's fabrics and this one is so great! I don't know how she comes up with some many neat designs. What cute fabric! Thanks for the opportunity! Oh, sweet! Thanks for the chance at this generous giveaway, and also for showing us some of the prints in the collection. Yes Please....what a lovely whimsical line of fabric. I LOVE IT VERY MUCH!!!! What a sweet grouping! I would love to win some to make something for my little granddaughters! Thanks! What an adorable line. Thank you for the opportunity. What CUTE fabric!!! That would be perfect to make something for my girls!!! So darling! I'm in love with it! I will have to remember to get some when I convince my husband I 'need' more fabric. SO SWEET! THANKS FOR SHARING SUCH A BEAUTIFUL GIVEAWAY! love the giveaway fabric. I try to enter every week. have a happy holidays. look forward to Jan. for new giveaway chances. 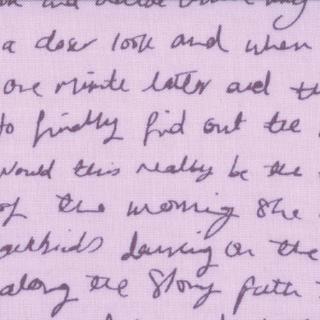 I love that cursive handwriting one! Haven't seen that fabric yet, so cute! Posy is sweet! I'm also eying the Nancy Drew line -- oh my I loved those books, and collected and read every single one of them up to the cookbook! How very pretty! I love the soft colors! Thanks. Merry Christmas!! Thank you for the giveaways! This is such cute fabric! Thank you for the chance to win! Hi!!! I love the mermaids and little bunnies!!! Precious!!! Thanks for the fun give away!!! This would be perfect to make a little quilt for my nephew's daughter. Thank you for this giveaway. What pretty prints! Thanks for this giveaway! Awwww...this is such a sweet giveaway!! Thanks so much for the opportunity! So Cute! Looking forward to the holiday's. Very cute fabric. I love this time of year. This would be a sweet get well packet. I can't wait to see the line in person. Awww....so sweet! This is the perfect way to prepare for spring! cute fabric. thanks for the chance to win. I like the mermaids wearing glasses! Now how silly is that?! Wishing everyone at Quilt Taffy a wonderful Christmas! So pretty. I love these. I love this! My youngest is an avid reader and it would be just perfect for her! Merry Christmas! Enjoy your family and all the fun activities through this holiday time. Oh my goodness how stinkin' cute is that!!!! I have 4 girls (3 very little) I so need some if this fabric in my stash! Thanks for the wonderful giveaway! Merry Christmas! This would look so cute in a small quilt. i think i need all those things mentioned right now! thanks for the sweet giveaway! Posy is one of my must have's! Thanks for the chance to win. The posy is very springy! Thanks for the giveaway. Great collection for a spring project. Thanks for the giveaway and Happy Holiday! mermaids with glasses - who woulda thunk it? 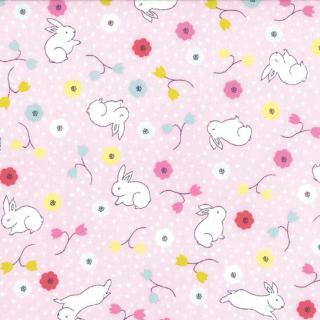 that & the bunnies are the sweetest fabrics I've seen in AGES! would love to pet some for myself! Love this fabric, it could be done in a lot if different ways. Merry Christmas to you and yours. We could use some spring, first snowfall is a sloppy slushy mess! Merry Christmas! I like reading and definitely fabric of ppl reading. Sweet fabric! I'd make a doll quilt with these charms. Love the Posy charm pack! Thank you for the great giveaway. Cute Fabrics. My 11 year old daughter loves to read. Reminds me of her, she will read anywhere. Very generous giveaway! May you have the Merriest of Christmases and May All Your New Year's dreams come true! love the hint of spring. Cute charm pack - love Aneela Hoey! It's pink and girlie. I love it. Thanks for the giveaway. Posy is so cute and just right for quilts for little girlies. I would love to have any of these fabrics! 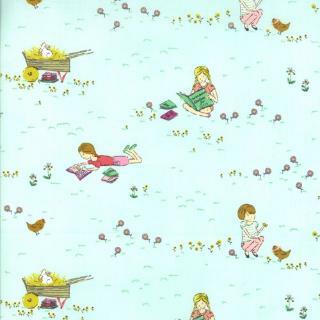 I have 4 grand daughters and these would be the perfect fabrics to make a spring quilt for our reading times! They choose a book for me to read to them, we sit on the small couch (they call it the "reading couch" and we cover our legs (why, I don't know.. just something they started insisting on doing while reading!) and we read for as long as my eyeballs will hold out! These would make a perfect reading quilt...little girls and text! Love the fabrics I have 6 grand daughters any one of them from 0-15 would love a quilt with those fabrics. Oh so lovely..... Thank you for the giveaway. love this line, tahnks for the chance! This fabic would be perfect for a doll quilt for my granddaughter! Sweet fabric, love the pastels anytime of year. Her fabrics are always so sweet - this would make a great holiday gift for a lucky someone! Thanks for the chance! Oh how precious!! 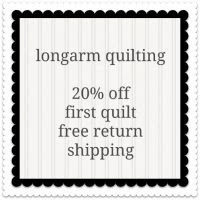 Spring is my favorite season and I can see a sweet little quilt for my 2 year old daughter made out of this. Thanks for the chance to win!! Who doesn't LOVE pink? Aneela Hoey does it again with another lovely design. Thanks for the generous giveaway!